When we reach retirement age, a lot of us plan to move to that dream state we always pictured ourselves growing old in. Some of us move for lower costs of living, better healthcare, and friendlier tax laws, and others move for better weather and family. 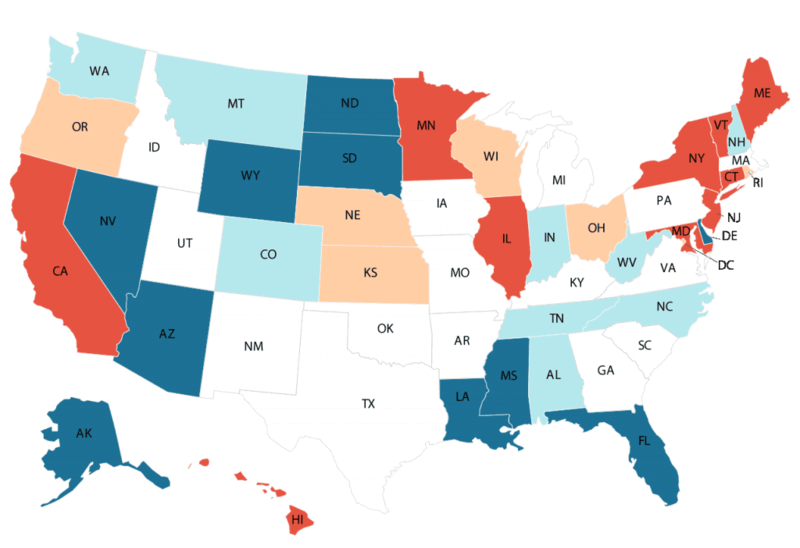 We ranked 35 states from the highest cost of living to the lowest, with data on tax breaks, annual income, and healthcare costs. These were taken from Kiplinger, Milken Institute, National Association of Realtors, Bureau of Labor Statistics and more. Did your home state make the list?